Manchester City now have the opportunity to wrap up the title against Manchester United at Eastlands next Saturday. 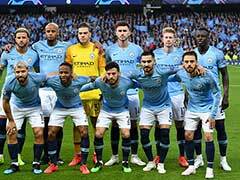 Manchester City clinched a comfortable 3-1 victory over Everton on Saturday to give the leaders the tantalising prospect of being crowned Premier League champions with a win over bitter rivals Manchester United. 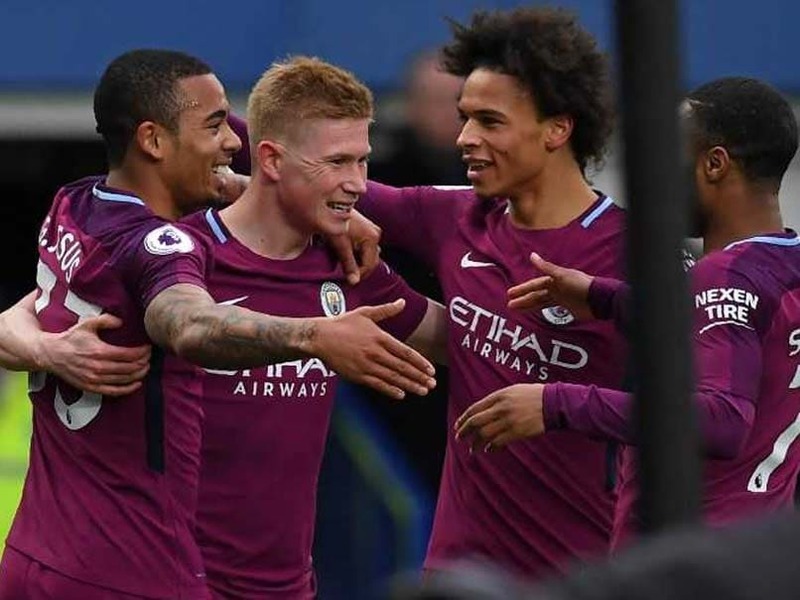 Manchester City secured the points at Goodison Park courtesy of goals from Leroy Sane, Gabriel Jesus and Raheem Sterling, before Yannick Bolasie pulled a goal back for Everton. 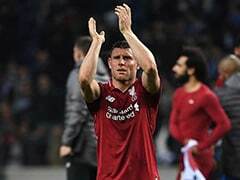 Attention for Manchester City fans will now switch to the first leg of their UEFA Champions League quarter-final against Liverpool on Wednesday before a mouthwatering opportunity to wrap up the title against Manchester United at Eastlands next Saturday. For Pep Guardiola's side to do it against Jose Mourinho's men would provide an appropriate signature moment and possibly the standout memory of a team with the potential to emerge as one of English football's greatest ever. 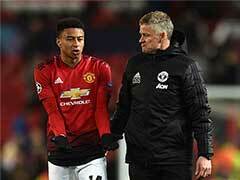 The football City have played in this campaign has been simply breathless in its quality and the current 16-point advantage over second-placed United is in no way flattering. Everton were actually something of an anomaly for Guardiola -- the only top-flight team he had yet to score a victory over since he took over at City. Indeed, his heaviest defeat as manager came in a 4-0 loss to Everton in the same fixture last season. Despite their travails away from home, Everton had taken 23 points from the past 30 available on home turf. However, the way City at Goodison Park started there was only going to be one outcome. 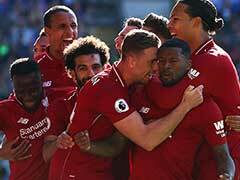 It did not take them long to assert their authority as they took the lead in the fourth minute thanks to an exquisite volley from Sane. Aymeric Laporte sent David Silva scurrying down the left edge of the box and flicked the ball into the area before crossing and it was met by sweetly by the left boot of Sane who thumped it past Jordan Pickford. Everton had a chance to equalise when Dominic Calvert-Lewin's high cross picked out Bolasie, only for the winger to head over from close range. The Toffees winger immediately put his head in his hands, which is exactly what the majority of the Everton fans did moments later when City added a second. A lightning quick attacking move started by Ederson's quick distribution enabled City to catch Everton's midfield flat footed. Kevin De Bruyne lifted a cross into the penalty area and Jesus powered his header -- via the shoulder of Pickford -- into the net. Since the start of the 2015-16 campaign, De Bruyne has provided 42 assists in the Premier League, which is more than any other player in Europe's big five leagues. At times, Everton centre-backs Michael Keane and Phil Jagielka appeared to glance in the direction of the bench in desperate search of answers on how to stop the wave of attacks. None from Everton boss Sam Allardyce were forthcoming. Just before half-time the match was over as a contest when another quicksilver attack saw Silva burst down the left flank and his low cross picked out Sterling, who adroitly steered the ball past the hapless Pickford. Never mind being a different planet to Everton, City were in a different galaxy. 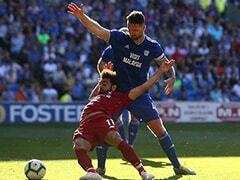 It was always going to be difficult for City to maintain the intensity in the second half and with a trip to Anfield in their minds they took their foot off the gas. Everton were able to pull a goal back when Bolasie atoned for his earlier miss, receiving the ball from Calvert-Lewin and arrowing a low shot which went in off the post. However, City tightened up in the remainder of the game as their fans began to sing of becoming champions. Three more points in the Manchester derby and it could be one to celebrate for a lifetime.